No picture, no chat! My rules! I am an outgoing person, but quite shy at times too (sometimes). I like the outdoors, although not a sporty person and I also like a nice quiet night in. No picture.....Don't expect a reply! Would have to have a good sense of humour, intelligent & attractive. Open minded. Can make decisions. Easy going! No issues! Most importantly know how to treat a lady properly! Coffee and maybe see how things progress. All depends on location, location, location. MeetYouAtTheMoon is a Female dating in Laois, Ireland. 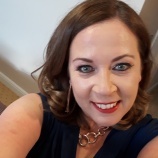 Check the description of this 46 years old profile, she is White/Caucasian and Catholic maybe this matches your profile description and you can both start dating in Ireland for free. The stars says she is a Aries maybe you should check your horoscope and match up your star sign.